You are here: Home � All Deals , Featured , Savings: Freebies Coupons Giftcards � Benihana's has all you can eat Sushi, Soup, Salad, and Edamame for $26.95 Monday through Thursday. Benihana's has all you can eat Sushi, Soup, Salad, and Edamame for $26.95 Monday through Thursday. 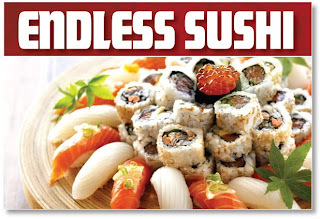 For fans of Benihana, you now can take part in their Endless Sushi deal. You get all you can eat Benihana sushi, plus soup, salad, and edamame for $26.95. For those who have not eatten at Benihana they are scattered nation wide and are considered upper end Japanese food. You can get an array of food there from Sushi to Steaks to other Seafood and Cuisine options.